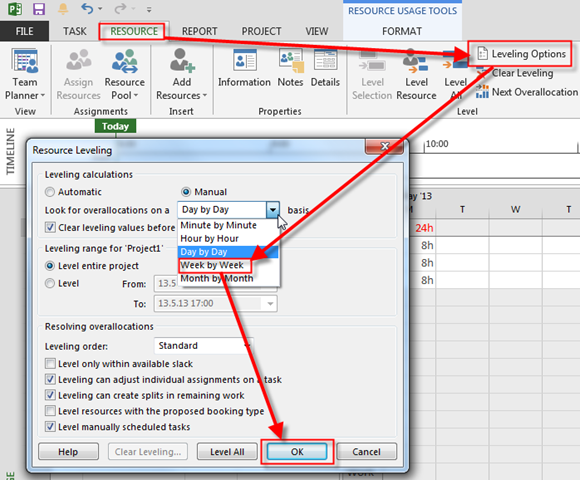 Resources and Over allocation in MS PROJECT 2013! WHY? The answer is easy! I told MS PROJECT 2013 that Over allocation is calculated on Week by Week Basic. What dose it mean? 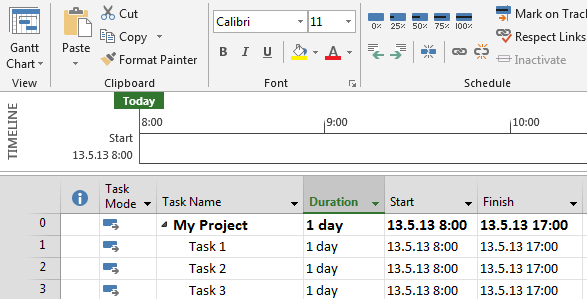 It means that MS PROJECT 2013 is making calculation: 5 days * 8 house per day = 40 hours. John Wayne is occupied on 3 Tasks (Monday) * 8 hours = 24 hours, and that is less than 40 hours. John Wayne is now occupied 40 hours! Tralaaaaaaaa! John Wayne is Over allocated now because he is working 40 hours + 1 minute on six Tasks, and that is larger than 40 hours. John is still over allocated because in a week he is working more than 40 hours (even 1 minute more makes him over allocated)! But what if John will work on Task 6 after Task 5? He is not over allocated any more? WHY? Because Task 6 is scheduled on the next week! You got the point, didn’t you! This entry was posted in MICROSOFT PROJECT, Microsoft PRoject 2010, Microsoft Project 2013, PMI, PRoject Management and tagged MS PROJECT, MS PROJECT - Resources. Bookmark the permalink. 12 Responses to Resources and Over allocation in MS PROJECT 2013! 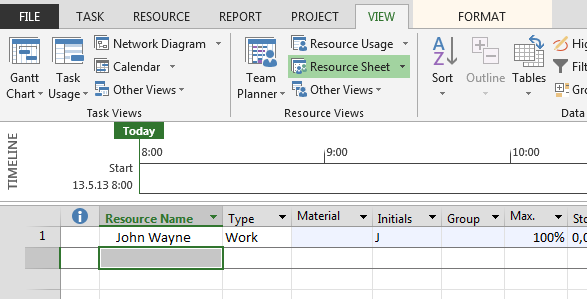 Hi Nenad, I am wondering, why each time I reopen my MS Project plan, the resources are shown afain as overallocated (red men), although the last time I saved the plan, i had levelled all the resources and/or used the function Move when resource is available. I have 2 projects on the same resource pool in first I planned resource A as committed for eg 6h in second as proposed for eg 4h. Project shows me that resource A is over allocated :/. Is this normal situation that Project counts both committed and proposed to one pool ? If not how can I fix it ? Is it possible to workaround this somehow to counts only committed allocation. I can not leave it as is to use by our PMO and PMs because during planning resources they will see lots of over allocations. Only if you make a custom report, or write a MAcro! Thank you very much.. really appreciate. I have even more a bit problem with my projects while using share resources from the one to multiple projects. I’ll love to help. Can you send me mpp files, so I’ll se what can I do?